A senior executive of the company which owns a flood-damaged chemical plant near the storm-hit US city of Houston says more fires and possibly explosions are expected at the site. Arkema's Richard Rennard said people should stay away from the area as more chemicals could degrade and combust. But he said no chemicals were released. The US environment agency said there was "no sign of dangerous toxicity". Smoke was seen coming from the plant after a fire in a chemical container. Earlier on Thursday Brock Long, head of the US emergency agency Fema, had described the smoke as "incredibly dangerous". But the Environmental Protection Agency said in a statement: "EPA has emergency response personnel on the scene and the agency is currently reviewing data received from an aircraft that surveyed the scene early this morning. "This information indicates that there are no concentrations of concern for toxic materials reported at this time." However, 15 police officers at the site who were exposed to fumes were admitted to hospital for checks. US energy supplies have been hit, as oil companies shut down refineries and part of a major pipeline in the Houston area. Meanwhile US Vice-President Mike Pence and other cabinet members have arrived in Texas to meet residents affected by the floods. Mr Pence said President Donald Trump would make a second visit to the area on Saturday. 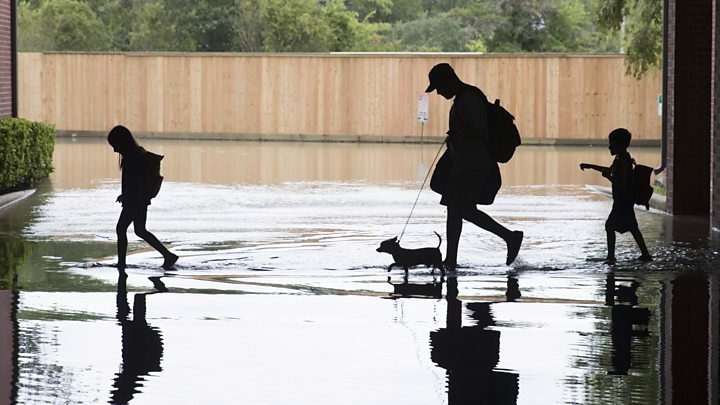 But 40in (102cm) of rainfall in the area flooded the site and cut off its power, the company said. Back-up generators were also flooded. 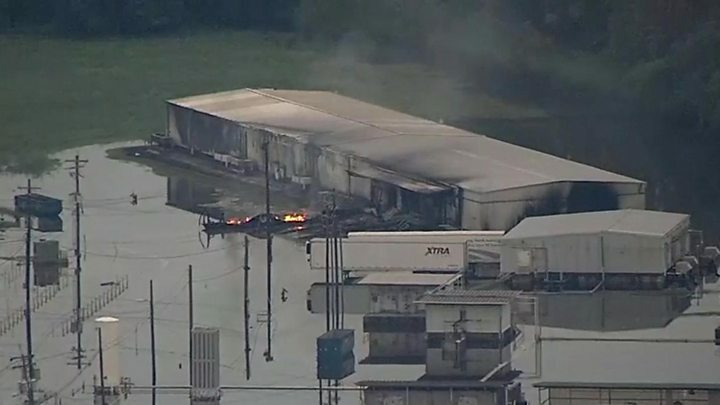 Harris County and company officials said there had been no massive explosions at the site, as originally reported, but a fire in part of a container. Pressure valves in the container had been released causing a popping sound, they said. Mr Rennard said substances in another eight containers were expected to decompose in the same way as the first. He did not rule out explosions during the decomposition. He would not say whether the smoke produced in the chemical reaction was toxic but said that it was "noxious" and anyone who inhaled it should seek medical advice. "It's not a chemical release that's happening. I want to be clear about that. What we have is a fire." Mr Rennard added that he did not know how long the product would take to degrade. "We don't want people returning back to homes thinking it's over," he said. "It's not over." 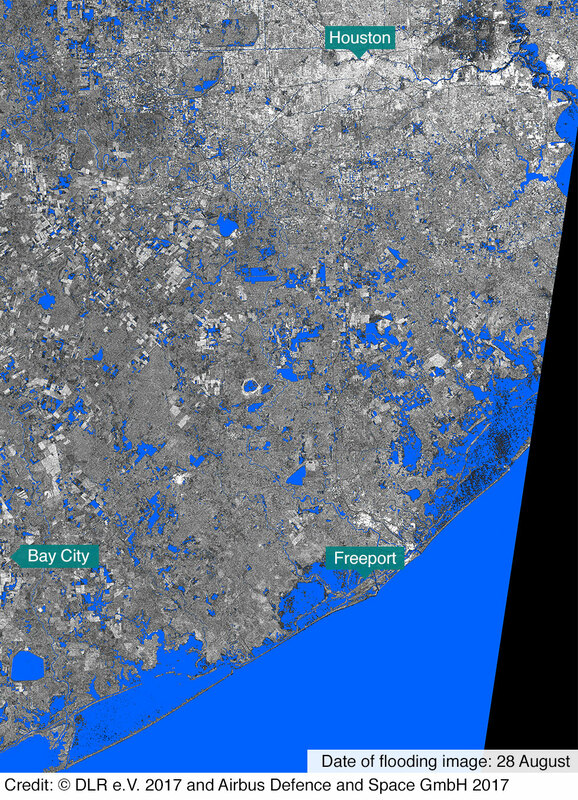 How are flood rescue efforts progressing? Media captionWhat are the long-term health risks for Storm Harvey victims? 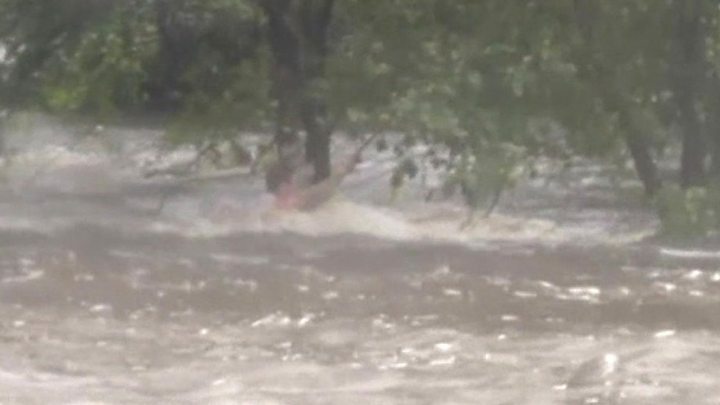 Firefighters have begun a door-to-door search of badly flooded areas of Houston on Thursday, to rescue survivors who are still stranded and recover the bodies of those who have died. The process is expected to take one to two weeks. 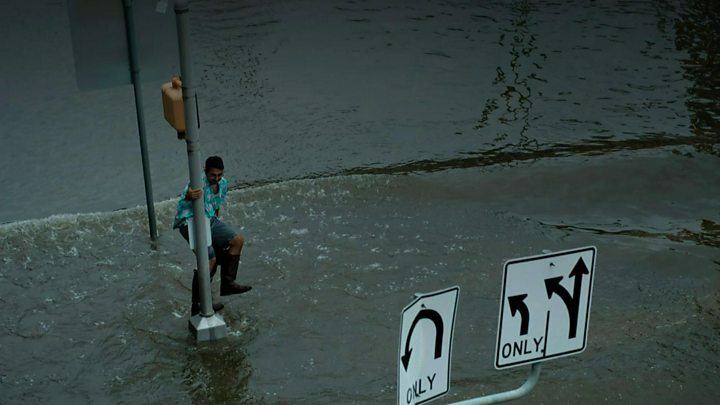 Thousands of people have been rescued so far, and more than 32,000 people are being housed in emergency shelters. The city is also a key energy hub. The storm and subsequent flooding have knocked out about a quarter of the country's refining capacity, sending petrol prices to a two-year high. An additional 10,000 members of the National Guard are on their way to Texas to join the rescue efforts, adding to the 14,000 already deployed. 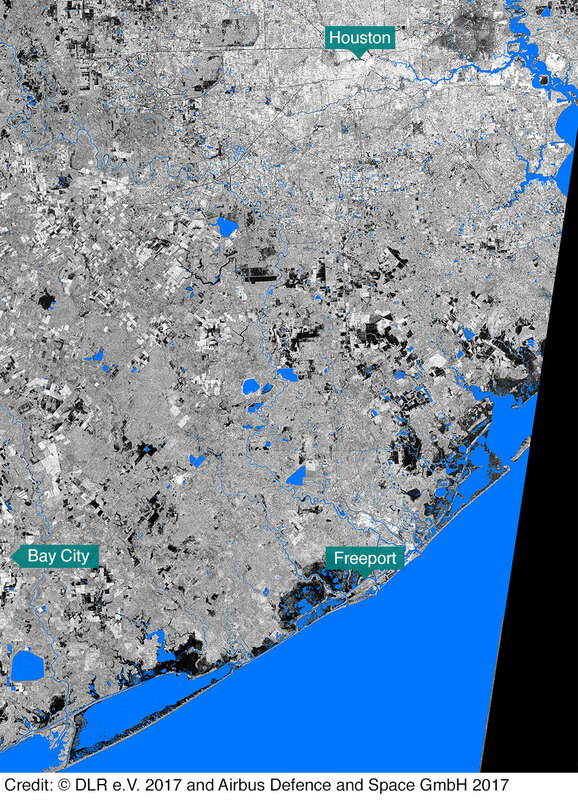 Harvey was the most powerful hurricane to hit Texas in more than 50 years when it first made landfall at Corpus Christi, 220 miles south-west of Houston. Mr Abbott has accepted an offer of aid from the Mexican government, which has suggested it is willing to despatch troops with food, water and medicine - as it did in 2005 when New Orleans was devastated by Hurricane Katrina.